Glacier Steel owner, Chris Gietzen, is proud to offer the most beautiful, durable, and “green” metal roofing and siding products available. With a wealth of experience in the metal products industry, Chris founded Glacier Steel Roofing in 2000 in Columbia Falls, Montana, in an effort to meet the growing demand for premium metal roofing and siding in the booming Flathead Valley. 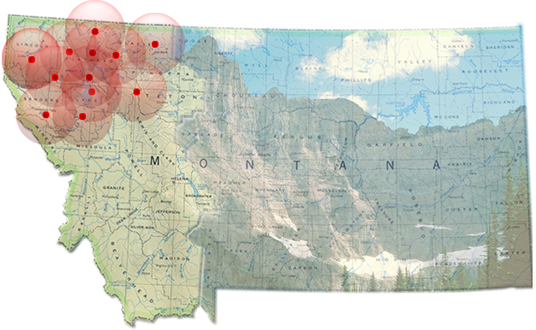 Using the most advanced fabrication technologies, Glacier Steel has grown to become the premier steel roofing and siding supplier, servicing Montana and the entire western United States. Glacier Steel customers know they can depend on a superior product and complete follow-up support. From its inception, Glacier Steel has strived to provide prompt and personal service, building relationships that last a lifetime. 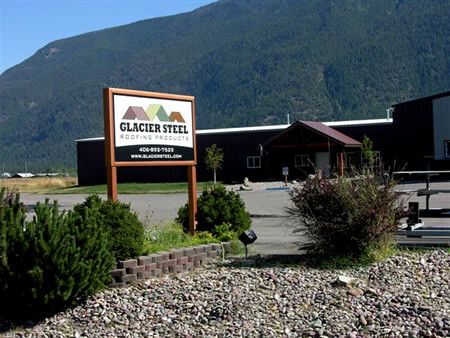 With 24 to 48 hour delivery, Glacier Steel eliminates the delays so common in the construction process. The Glacier Steel team has the expertise to tackle any project, be it residential, commercial, industrial or specialized use buildings. Glacier Steel provides the heftier, more desirable 28/26/24/22 gauge materials with durable finishes like Ceramastar 950 and Kynar paints. All colored Glacier Steel roofing panels have certified “cool roof” finishes for energy savings and longer life. And Glacier Steel is happy to offer customers the best accessories for their project, such as flashing, trim and screws. Glacier Steel: Products that are beautiful, durable, cost-effective and “green,” with expertise and service that are second to none.